It is impossible to gauge the sentiment in the country with precision. One has to rely on opinion polls and judgments on the basis of what one sees or reads. But it appears reasonable to suggest that the decision to reject the motion in parliament was out of line with what very many people feel. They may not hold Zuma responsible for everything that has impaired the conditions of their lives. But certainly, the level of lawlessness and constant scandals are seen by many to have undermined democracy in general and also contributed to the deterioration of very many people’s living conditions. With regard to 2019, the motion of no confidence appears to add weight to the view that the ANC may well fail to achieve over 50% of the vote in the national elections. This may be because Zuma’s preferred candidate Nkosazana Dlamini-Zuma becomes ANC president and a divided ANC will not work effectively for an ANC victory. Alternatively, it may be because Cyril Ramaphosa or someone else wins and that also divides the ANC. At this point in time there is no candidate for the ANC presidency who appears to command a basic level of consensus in the face of an opposition challenge to ANC hegemony. Many commentators noted that if Zuma had been forced to resign the ANC would not have been able to unify behind any candidate. Many see this as a factor that restrained some from supporting the no confidence motion. It is not only the problem of Zuma but that the ANC itself no longer unites its members and supporters behind a set of agreed values, even though these may be chanted or given ritualistic expression. The ANC of today is a shell inhabited mainly by self-seeking individuals who link their fates with one or other powerful individual in order to safeguard their future. That is not to say that everyone in the ANC is a crook. There are certainly some individuals, most of whom have been removed from top positions, who have sought to safeguard the fiscus from looting and who do their job as best they can and wish to restore the organisation to the values that they attribute to the ANC of previous periods. Even if there is some romanticism about what the ANC has been in the past, there is no doubt that no ANC presidency has mired the organisation so deeply in criminality and scandal as that of the present. There were scandals in the past but they are memorable more for their exceptionality than their being commonplace as is the case today. The scandal of the present is that scandal is the norm. It does not really stand out in the light of very, very many people being part of webs of state capture and an atmosphere of shamelessness buttressed by impunity. The opposition parties may prevent the ANC from reaching 50% of the vote and combine in an alliance government. But, led by the DA, they do not seem to be in a position to stand in for what the ANC was once seen to offer people in terms of hope for a better life and a dynamic democratic order. That is not to say that they ought to try to “stand in” for what the ANC has been or claimed to be, although both the DA and the EFF claim to be more true to the values of the Freedom Charter than the ANC of the present. The DA relies primarily on its claim to efficient government, more technocratic than compassionate. That is why their showcase example of government –Cape Town presents stark contrasts between the lives of the wealthy and the poor, many of the latter living in squalour and indignity. The EFF continues to build its public presence, though it remains unclear what level of support they enjoy beyond the 6-8% they have claimed in national and local government elections. They successfully pursued legal action and have made important gains, notably in the wake of the Nkandla judgment. But its impact on the public has been mainly through spectacle- its uniform, which has important symbolic connotations (See Raymond Suttner “The Economic Freedom Fighters’ Politics of Dress”, in Recovering Democracy in South Africa, Jacana Media, 2015, pp. 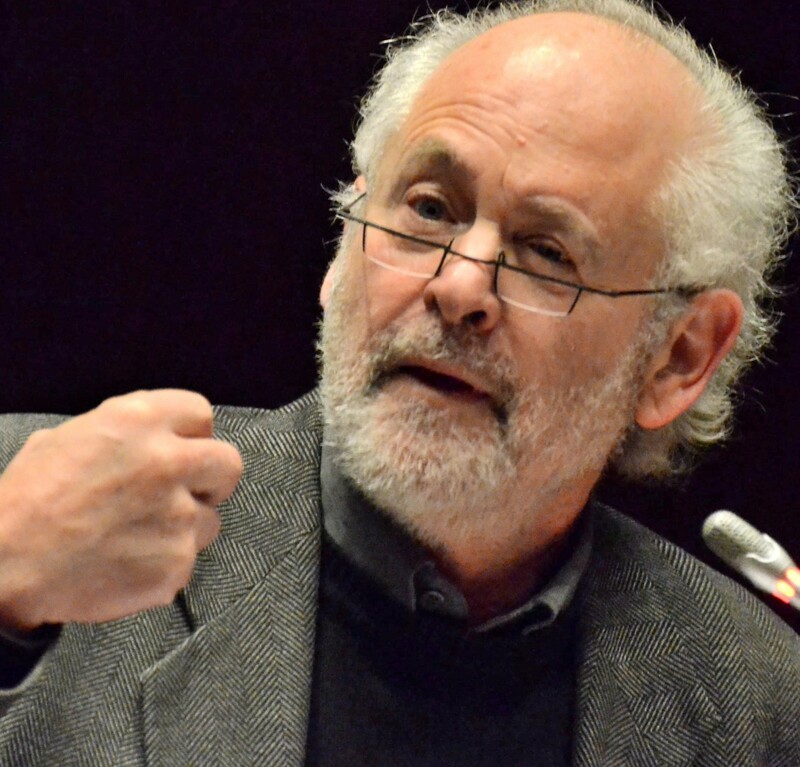 223-225 and Candess Kostopoulos “South Africa’s EFF: excellent politics of props and imagination” The Conversation, 2 June 2016: https://theconversation.com/south-africas-eff-excellent-politics-of-props-and-imagination-59918 ) and its willingness to physically fight for its rights in parliament. That they give the bouncers a run for their money is something that goes down very well in a macho country like South Africa. The organisation has also raised questions over recent statements in KwaZulu-Natal. The organisation was correct to show respect for cultural sensitivities in seeking a meeting with King Goodwill Zwelithini. But it was necessary to strike a balance. Was it not desirable for a party that professes to have a progressive orientation to be less deferential? Thus Malema is quoted: “We received good counsel from His Majesty as a father and an elder. We leave here educated because he possesses a lot of experience.”(https://www.timeslive.co.za/politics/2017-07-27-malemas-birthday-gift-to-king-zwelithini/). Presumably they are aware that they were dealing with a monarch who has made a range of utterances over the years –starting with his role under apartheid –which have been unconducive to the rights of others –patriarchal in relation to women, homophobic and xenophobic. Also, the Ngonyama trust is a tricky question in relation to the rights of rural people, as has been showing in writings and twitter comments on the EFF/Zwelithini meeting by Nomboniso Gasa (@nombonisogasa). In deferring to the wisdom that supposedly resides in older people and especially the King did the EFF not reinforce patriarchal notions, which sometimes make it unnecessary for patriarchs to justify what they say insofar as they make claims to authority and respect by virtue of their hierarchical status as elders? “Speaking at the EFF celebrations at Curries Fountain‚ Malema said some Indians treated Africans as sub-humans and paid them a pittance. He claimed that the success of Indian businesses in the province was based on their strategies of exploitation and monopolisation of the economy. Was this the correct approach to adopt? Ought leaders of organisations not to engage with communities in greater depth and distinguish between different categories within the African and Indian communities, as Chief Albert Luthuli and Monty Naicker did after the African-Indian violent conflict of 1949. Is it responsible to label the Indian business community or the community in general in the way that they did? Would it not have been more desirable to have been more cautious before making public judgments? That would not have pre-empted later judgments if found to be justified? For all the gains that the EFF has made in the public imagination it sometimes resorts to populist language that presents dangers. Mature leadership must listen and do more than repeat what people say. Grievances that are articulated need to be interrogated at greater depth than was possible in the short visit made by the EFF leadership. Having conducted consultations, it would have been desirable to meet with communities in order to see how best to address these questions. There was no need to rush to public judgment. There is an increasing development of a body of thinking and series of actions manifesting political mobilisation on the ground beyond parliament, often including parliamentarians, from opposition as well as some from the ANC. These actions do not necessarily negate the importance of parliament and other institutions nor do all or many participants reject the ANC or other parties. Many of those participating wish to reclaim the ANC and rebuild it, according to the image they have of the organisation, unsullied by Zumaism. Whatever the reasons that may bring people onto the streets or in other places of protest, there is a growing sense that politics does not end in electoral processes. This is a healthy return to the notions that drove many people in the 1980s, (very well expressed in a statement of UDF leader Murphy Morobe in 1987 and the writings of Michael Neocosmos amongst others. See Murphy Morobe “Towards a People’s Democracy: The UDF view”, Review of African Political Economy, 1987, pp. 81-95 and theorisation of popular power by Michael Neocosmos in various places, notably his monumental work, Thinking Freedom in Africa. Towards a Theory of Emancipatory Politics, Wits University Press, 2016, pp. 134-188). The character of the space for “the people” outside of voting has still to be negotiated in the context of the politics of our times. It is also different from that of the 1980s, then relying almost entirely on the poor, now drawing in people for different reasons and different end goals. Organisers today need to identify what commonalities hold the greatest number of people – from all sectors, population groups, classes and strata- together for as long as possible. That body of common interests and beliefs that can drive people to act now is crucial to ridding our country of Zumaism and state capture. That is important in itself, though it does not resolve multiple issues relating to the various manifestations of inequality in South Africa. Let us agree on the need to build for the present. But let us also build space within this emerging broad, mass unity for ongoing debate amongst all who care about building a society founded on formal and also substantive equality. How that is achieved will not lead to easy agreement and what emerges as the dominant view will not be the result of debate alone but that and other forms of struggle between contending forces. That is healthy and an important part of reinvigorating our democracy. Even if the initial outcome is one or other direction, that is never final and that should not be the case in a democracy that is vibrant, in a transformational society which is alive and fired by the desire to build and expand the possibilities of our freedom.